Tacitus (AD 56-117), a Roman senator and acclaimed orator, was also Rome's greatest historian. 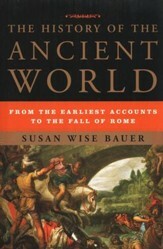 In the surviving volumes of the Annals, he examines the Roman emporers who succeeded Augustus and the imperial dynasty itself, explaining and recording the peace the Emporers brought, but also the corruption and decadence that came with it. 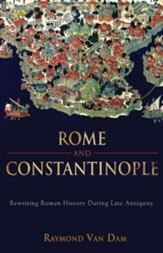 This remarkable work brings the Roman Empire to life through the ambitions and passions of the characters who dominated the time. 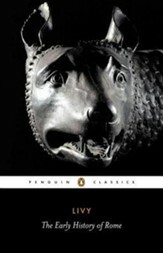 With clarity and vivid intensity, Tacitus's Annals recounts the pivotal events in Roman history from the years shortly before the death of Augustus to the death of Nero in 68 AD, including the reign of terror under the corrupt Tiberius, the great fire of Rome during the time of Nero, and the wars, poisonings, scandals, conspiracies, and murders that were part of imperial life. Despite Tacitus's claim that they were written objectively, the Annals is sharply critical of the emperors' excesses and fearful for the future of imperial Rome, while also filled with a longing for its past glories. 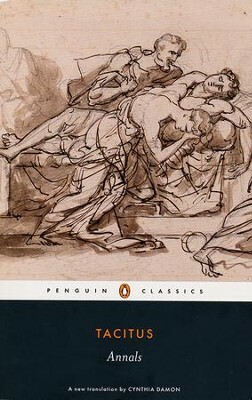 In Cynthia Damon's Introduction to her lively new translation, she explores Tacitus' political and literary career, his purpose in writing the Annals, and the nature of the surviving text. 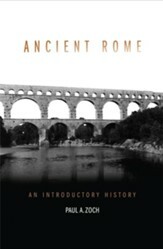 This edition also contains a chronology, maps, a genealogy, suggested further reading, and notes. Tacitus, born in about AD 56 in southern Gaul (modern Provence) under the emperor Nero, was probably the son of an equestrian. He enjoyed success as a both a politician and writer, publishing the Agricola (a biography of his father-in-law) and the Germania (an ethnographical study of the peoples of Germany) in 98. Today he is best known as a historian, the author of The Histories and the Annals. The culmination of Tacitus' public career was when he won the prestigious post of proconsul of Asia (112/13). He died at some point after 115 and probably lived into the reign of Hadrian, but there is no evidence for his later life or the date of his death. Cynthia Damon received her PhD from Stanford University and taught at Harvard University and at Amherst College before moving to the University of Pennsylvania. She is the author of The Mask of the Parasite, a commentary on Tacitus' Histories 1, and, with Will Batstone, Caesar's Civil War. I'm the author/artist and I want to review Annals.